We've been enjoying some lovely weather as of late, and have been sitting out in the garden enjoying the balmy evenings, copious amounts of coffee and gorgeous sunsets. 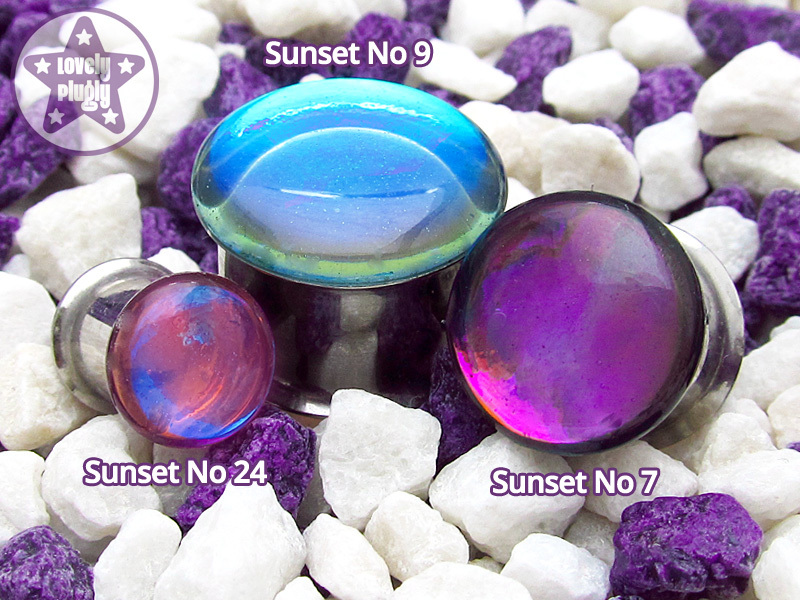 This inspired us to make a collection of plugs based on the beautiful colours we have seen in various sunsets around the world. They're there, on the right, sitting on a motorbike because that is the only place I could get a half-decent photo of them. 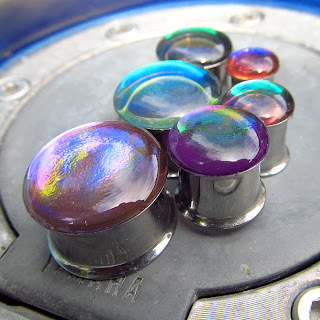 They look much more awesome in real life, mind. Sunset No 2 - Pinky purple with flashes of rainbow. Sunset No 7 - Purple with flashes of green and rainbow. Sunset No 9 - Blues, aquas, teals, greens and yellows. Sunset No 21 - Earthy flashes of orange, pink and blue. Sunset No 24 - Pinky with flashes of teal and blue. 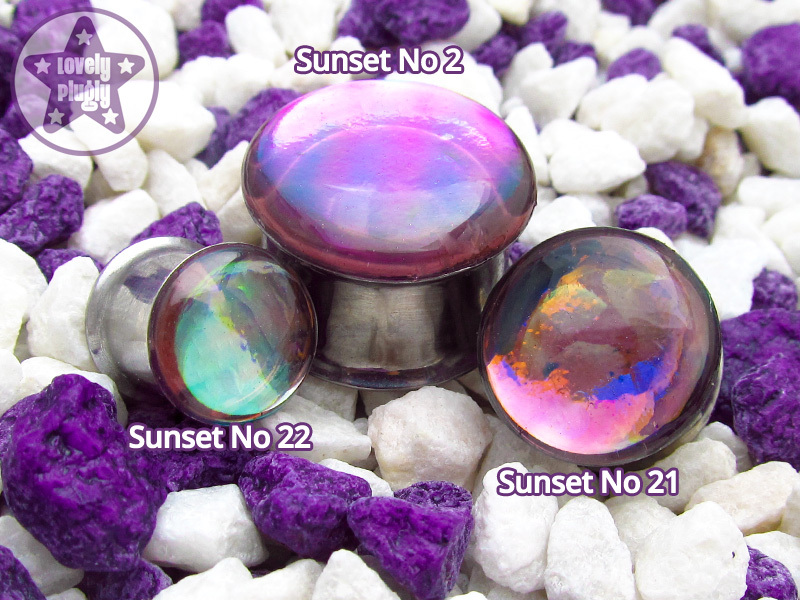 Sunset Plugs are available for pre-order in the shop now in sizes 8mm / 0g up to 20mm / ~3/4" (bigger sizes coming soon). They take up to 14 days to make but I'm sure that there will be some ready-made ones available for purchase very, very soon.